Thank you to all the coaches, managers and ground officials that have/will volunteer for this season. 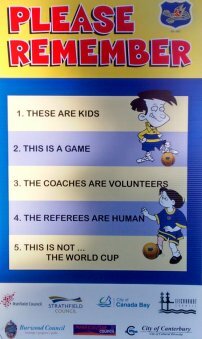 Leichhardt Saints FC is dedicated to creating a Child Safe Environment. Each team needs at least one registered Coach and Manager. LSFC is a volunteer run community club and all roles are filled by volunteers. The Working With Children Check helps ensure the safety of our children while giving peace of mind to all parents. Many people will already have completed the check for their current employment, they can just forward the check number for validation. Also for any new coaches looking for resources here is a coaching primer I use myself.